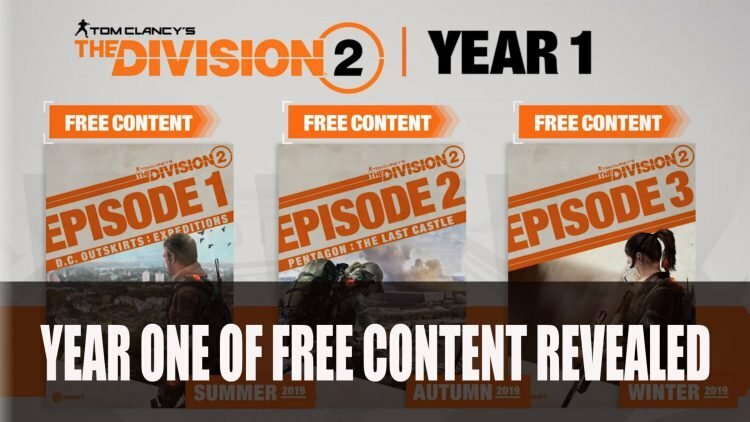 With The Division 2 only a few weeks away from its launch and beta happening this weekend, Ubisoft have decided to share their plans for the first year of free content updates. 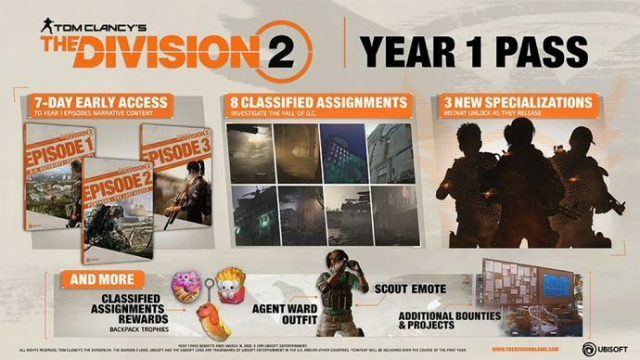 Focusing on a full year of free content updates for The Division 2, Ubisoft will bring a mix of new features, new episodes and new specialisations for all players at no cost. After The Division 2 launches, players will be introduced to a new Black Tusk Faction Stronghold as well as the Operation Dark Hours which is the first 8-player raid. The first year will contain three episodes each concentrating on “new narrative driven content”, as well as bringing new PvE and PvP modes. The first being the D.C. Outskirts Expeditions, this adds two new missions set in environments around Washington, while following a mission to hunt down the elite members of the Outcast and the Black Tusks. There will be a new game mode where Division Agents must create an expedition to investigate a lost convoy. Episode 2, Pentagon: The Last Castle brings new missions in a new “experience” which takes place at the Pentagon. Episode 3 will complete The Division 2’s first post-launch story, but the name and storyline has not been revealed. The new specialisations which will be three new ones are set to arrive in the first year, one will release alongside each major Episode update, each having its own featured weapon and skill tree. Those who choose to purchase The Division 2’s Year 1 Pass will gain a seven day early access to post-launch episodes, so if you want to be one of the first to experience the new content, you can sign up for the pass. You will also get eight additional Classified Assignments, extra Bounties and Project missions as well as a range of cosmetics. If a paid pass isn’t your thing, you can still unlock the content but “over time through gameplay” according to Ubisoft. Ubisoft have also been forthcoming with how they will monetise in their latest blog post, sharing that as well as the pass, they will offer loot boxes known as Caches which contain apparel. They reassure players that “Acquiring a Cache will never provide any type of advantage” meaning these will likely be purely cosmetic.